Tennessee Student Mock Election Day is October 30, 2018. Here is how your school can participate. Sign up your school online. Check out the lesson plans and resources to use in the classroom. Conduct the mock election in your school! Tennessee Student Mock Election Day is Tuesday, October 30, 2018. Report your school's results. The last day to report results will be Tuesday, October 30, 2018 at 4:00pm CDT. How do I sign up for the mock election? Visit our website sos.tn.gov/civics or click HERE. You will enter basic information about your school, including a point of contact to receive email updates and further information. All Tennessee schools can participate including public, private and home school associations in grades PreK – 12. How do I conduct a mock election in my school? 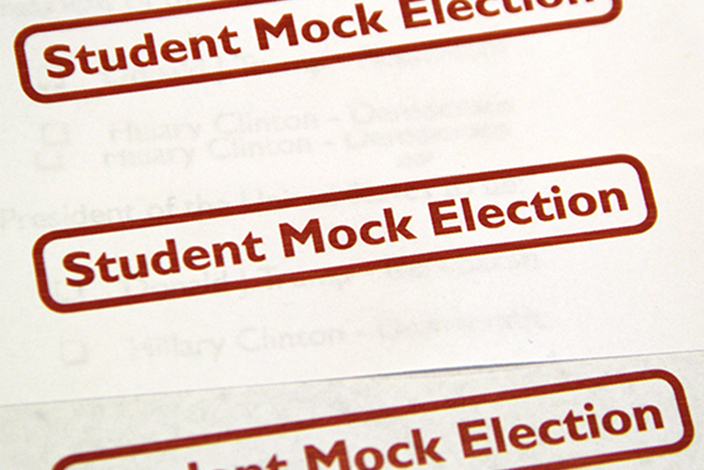 Schools can conduct a mock election whichever way works best for their students. Our office will provide paper ballots, however some schools may choose to conduct the voting a different way. The results reporting mechanism will open on October 15th for “Early Voting” and close on Student Mock Election Day on October 30, 2018. Each school who signs up will receive “I Voted” stickers in the mail. The point of contacts will be sent a PDF of a mock ballot via email that can be printed off. We also have a Student Mock Election I Voted sign that schools can use to engage on social media. Additionally, we provide lesson plans written by Tennessee teachers to help incorporate civic engagement in the classroom leading up to the mock election. How does my school report the results? The point of contact designated for each school will receive instructions on how to report your school’s results through our website. For the mock election, our office will only be collecting results for the Governor and U.S. Senate races. However, schools can choose to put more races or candidates on the ballot if they want. Visit your local county election commission website or use the GoVoteTN mobile app to find candidates on your ballot. What if I am a part of a home school association? You can still participate! We encourage students and families apart of a homeschool association to conduct a mock election and report their results. What is the essay contest? The essay contest is a chance for students to receive scholarship money and a trip to the State Capitol. Teachers are encouraged to incorporate the writing prompts in their classroom leading up to the mock election as a way to integrate civic engagement in the classroom. For more information about how your students can participate, click here.